Meng Wanzhou, one of Huawei’s top executives and the eldest daughter of the company’s founder/CEO, will be released on bail and kept under tight monitoring over bank fraud allegations, a Canadian court ruled today. 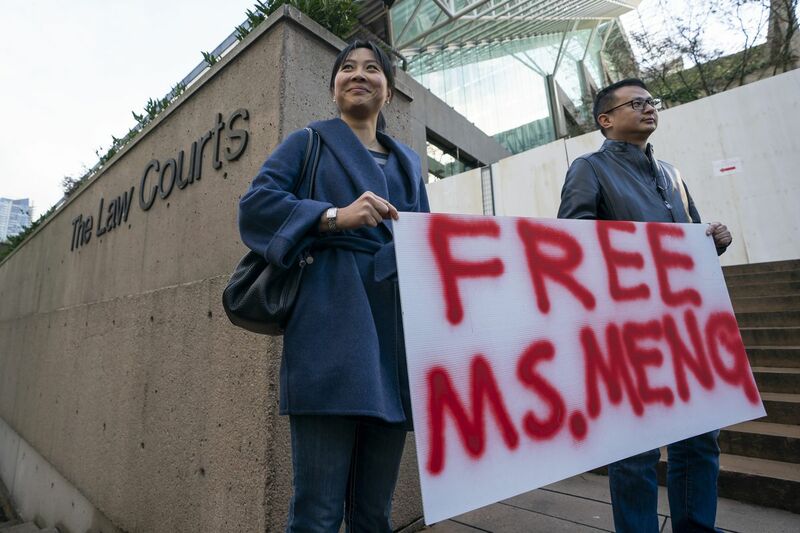 The Star Vancouverreported the decision Tuesday, which comes after a growing wave of Chinese nationalist sentiment brought protesters out to demand Meng’s release and even led Vancouver residents offer up their homes to prove Meng wouldn’t be a flight risk. As part of the deal, Meng must remain in British Columbia, provide a supervisor with telephone numbers, live at a $5.6 million home that was selected as her residence, and stay indoors from 11PM to 6AM every day. She’ll have to surrender her passports and be under the watch of a security company while wearing an ankle bracelet. The decision today is a small step in a larger case that involves American suspicion toward the Chinese device maker, US sanctions against Iran, and all against the backdrop of tenuous US-China trade negotiations. Meng has been detained in Vancouver since December 1st at the request of US authorities, as they suspect her of violating US sanctions against Iran. She was apprehended in Vancouver during a flight transfer while flying from Hong Kong to Mexico. 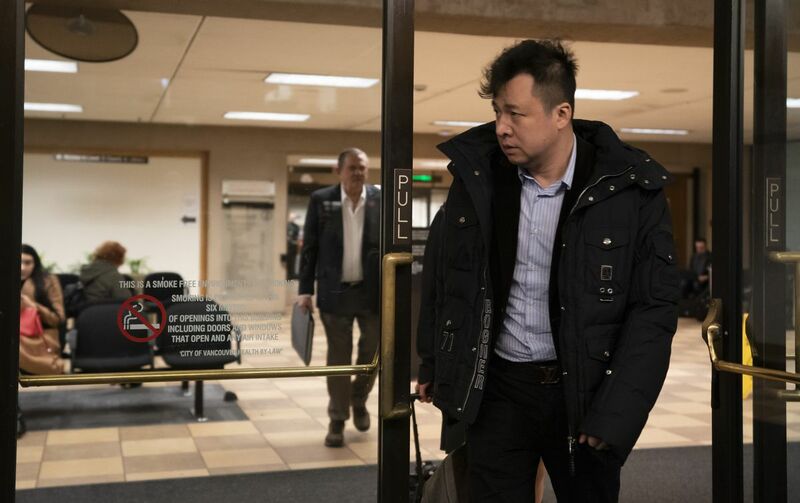 Xiaozong Liu, the husband of Huawei Technologies CFO Meng Wanzhou, leaves BC Supreme Court. Meng served on the board for a Hong Kong-based company called Skycom, which allegedly did business with Iran between 2009 and 2014. The Canadian prosecutor alleged that US banks worked with Huawei at this time, so Iran sanctions were indirectly violated, and Meng, therefore, committed fraud against these banks, according to the prosecutor. The other piece of the puzzle is that Skycom was basically Huawei under a different name, according to the prosecutor. We’ve reached out to Huawei for comment on today’s decision. The US has an arrest warrant out for Meng that was issued by a New York court on August 22nd. It has 60 days from the time of Meng’s arrest on Saturday to provide Canadian courts with evidence and intent, including the decision to make a formal extradition request. If the US doesn’t provide this paperwork, Meng will be let go. The judge ruled today in favor of releasing Meng on bail mainly after determining she likely wouldn’t be a flight risk. Meng only has two valid passports and that the zones she’s permitted to travel in will exclude the Vancouver airport. The judge also found the argument that she’s been avoiding the US purposefully to avoid prosecution to be “speculative and without any reliable foundation.” The prosecution had previously alleged Meng and Huawei became aware of the US’ investigation into the company’s subsidiaries in April 2017 and subsequently stayed away, even though Meng has a son studying in Boston. Part of the ongoing debate during the bail hearing was over which company would monitor Meng and supply a monitoring bracelet if necessary. Meng’s lawyer suggested a bracelet that would be connected to the Rogers network. Rogers has a partnership with Huawei. At the same time, a former Canadian diplomat has gone missing in Beijing, in what some suspect to be retaliation, according to reports from today, and Chinese authorities have yet to clarify what his status is. Posted in Blog, News and tagged #Canada, #CFO, #CFO Cathy Meng, #cheap, #Huawei, #mcsc, #messiah, #News, #tech, #TheMessiah, Anonymous, messiahcybersecurityandconsultancy.